Police in Italy have taken action to block more than 150 sites involved in the unauthorized streaming of movies and sports. 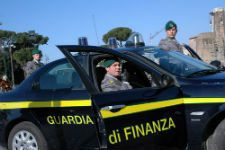 The Special Units of the Guardia di Finanza obtained a mass injunction from a judge in Rome, marking the start of the largest ever blocking operation since measures began in 2008. The Guardia di Finanza (GdF) is a department under Italy’s Ministry of Economy and Finance. Tasked with dealing with financial crime, in recent years the department has also been at the forefront of anti-piracy operations. In order to disrupt the activities of pirate sites, the GdF takes direct action against site operators, with raids of sites deemed to be locally significant. Sites considered to be operated from elsewhere are regularly targeted with legal action, with most major sites now blocked by ISPs. Now, according to lawyer Fulvia Sarzana, a lawyer with the Sarzana and Partners law firm which specializes in Internet and copyright disputes, the GdF is engaged in the largest action yet against pirate sites. Describing the move as “sensational”, Sarzana says 152 sites involved in the unauthorized streaming of movies and sports have been targeted by police. Far-reaching injunctions were signed by Judge Alessandro Boffi in Rome today, which according to Sarzana are the most important since Italy began its piracy crackdown eight years ago. “It is the most important police operation involving copyright since 2008, when this type of order was introduced in Italy,” Sarzana told TF. Sarzana says that the injunction orders local ISPs to block subscriber access to the sites, something that has happened many times before in the country but never on this scale in a single act. In January 2015, around 120 sites were targeted following a complaint from 21st Century Fox’s Sky TV but this latest action is even bigger. It also challenges the total blocking efforts of local telecoms watchdog AGCOM. “To give you a comparison, just think that in three years of activities on copyright, the Authority for the Communications Authority (AGCOM), with a lot of energy and personnel, carried out more or less the same number of injunctions of what happened today with a single Judicial Authority act,” Sarzana says. For now the injunctions concern only blockades and there are no instructions for domain seizures. However, more trouble could lie ahead. “The novelty of the measure is that they were also given the IP addresses of the servers, which could mean that more detailed investigations on the origin of the content were undertaken,” Sarzana says. “At the moment it is unknown whether investigations have been made on the advertising activities related to the sites but this is the most recent trend of the Italian Financial Authorities,” he concludes.